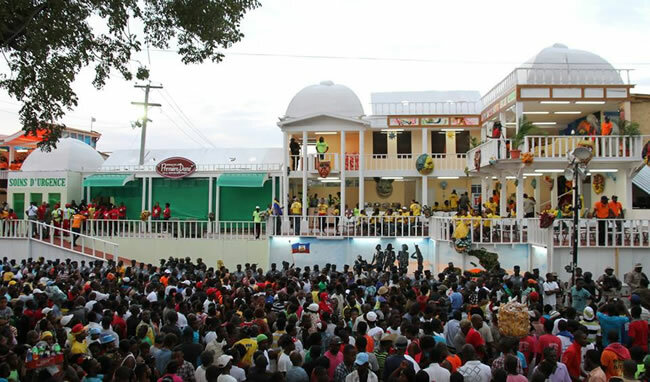 This Catholic festival has been imported to Haiti and other parts of the Americas by the early European settlers. In Haiti, the carnival is heavily influenced by local customs and rituals like Voodoo and Haitian music. People take part in parade floats where music systems are set up on trucks. Participants perform comedy acts often satirizing political topics. Music always remain the central part of the celebration. Popular Kompa bands like Djakout #1, T-Vice, Sweet Micky take part along with other lesser known bands, groups, who get good public exposure during the occasion.